Local Maritime Cultures Celebrated At Moompetam, The Aquarium’s Eleventh Annual Native American Festival: Giveaway Opportunity! 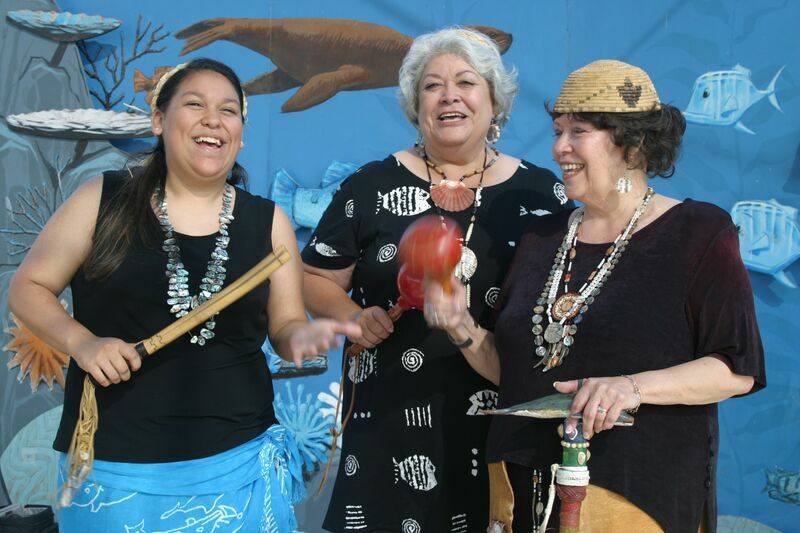 Local Maritime Cultures Celebrated At Moompetam, The Aquarium’s Eleventh Annual Native American Festival Giveaway Opportunity! Several tribes will be represented at the Aquarium through live music and dance, cultural craft presentations, and artifacts of daily life. Envision what our region was like several hundreds of years ago and learn about the various tribes that maintain their historical connection to the ocean at the Aquarium of the Pacific’s Moompetam: Gathering of the Salt Water People. The Aquarium’s eleventh annual Native American festival will be held Saturday and Sunday, September 19-20, 2015. This event will feature traditional music, dance, storytelling, cultural craft demonstrations, and educational programs. Families will be able to participate in arts and crafts for all ages as well as other activities inspired by local indigenous maritime cultures. Native American artists will present cultural materials, such as basketry, items of adornment, and artifacts of daily life. Moompetam (pronounced \’mohm peh tahm\), meaning “People of the Ocean,” is derived from the word for saltwater in the Tongva language. For the local, coastal, and island indigenous people of Southern California, the ocean has always been a sacred entity. The maritime native peoples that inhabited ocean waters for thousands of years, including the Tongva, Chumash, Acjachemen, Costanoan, Luiseno, and Kumeyaay, were taught to deeply respect the ocean. The ocean environment is reflected in all aspects of their cultures. WHEN: Saturday & Sunday, September 19-20, 2015, from 9:00 a.m. to 5:00 p.m.
With coupon adults receive $10 OFF admission. Regular $28.95, just $18.95 with coupon! Attached is a coupon flyer PDF for each festival. Everyone is invited to post this coupon on the internet and Facebook. Anyone can also share it by email, or print and distribute it as noted on the coupon. *Showing a PDF or image of the printable flyer on your mobile device will not be accepted. We have teamed up for a Giveaway! One winner will win a Family 4-Pack of tickets to attend the event! To enter, leave a comment below telling us your favorite exhibit at the Aquarium. Deadline to enter is September 16, 2015 at noon PST. One winner will randomly be selected via Random.org. Credit: Info and Photo provided courtesy of the Aquarium of the Pacific. I love the Leafy Sea Dragons although the shark feedings are super cool too! Oops, posted before I could answer. My favorite are the jellyfish.